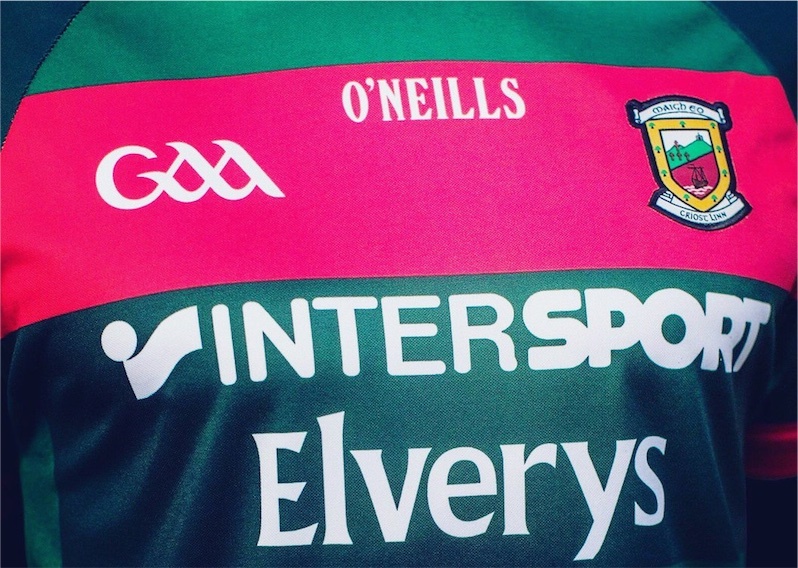 Mayo (NFL Division One v Galway, 11/2.2018): David Clarke (Ballina Stepenites); Brendan Harrison (Aghamore), Ger Cafferkey), Eoin O’Donoghue (Belmullet); Colm Boyle (Davitts), Stephen Coen (Hollymount/Carramore), Paddy Durcan (Castlebar Mitchels); Jason Gibbons (Ballintubber), Shane Nally (Garrymore); Kevin McLoughlin (Knockmore), Aidan O’Shea (Breaffy), Diarmuid O’Connor (Ballintubber); Neil Douglas (Castlebar Mitchels), Jason Doherty (Burrishoole), Conor Loftus (Crossmolina), . So it’s two changes from the side that started against Kerry last time out. Into the team come Colm Boyle and Conor Loftus, replacing Barry Moran and the injured Evan Regan. The team we’ve named, which, when contrasted to the one that started against the same opposition at the same venue last June, contains six survivors. David Clarke, Ger Cafferkey, Stephen Coen, Paddy Durcan, Kevin McLoughlin and Diarmuid O’Connor all started for us that frustrating day in Salthill, while Colm Boyle, Aidan O’Shea and Jason Doherty – who were all sprung from the bench that day – also start on Sunday. Best of luck to the team named for this crunch League clash with the neighbours. I’m surprised Barry Moran is dropped, to be honest. Happy to see Coen, Caff and Nally being given an extended run this year. Squad development is all important this year. Don’t forget Boyle also came on in that match Willie Joe. Not Rochford’s finest hour, in my humble opinion…. But anyway! Hopefully loftus starts but I have my doubts. It will be his first start since the Clare game last year. Thanks for that Rochford’s Brigade, I’ve edited the post to include mention of Boyler. How could I forget him? I recall him prowling the sideline like a caged animal that day, urging the team on. It was way too late in that game before he was finally brought on. Strong enough on paper but I hope we see Gallagher and Reape given plenty of game time. Might not be too bad….. I think that Conor Loftus, Stephen Coen and Adam Gallagher are all involved in Sigerson cup semi-finals during the week so it’ll be interesting to see if they will be playing any part against Galway. We will have to wait until 5 minutes before the match for the real team… right half forward .. David Clarke, full back Jason Gibbons… name the bloody team that’s starting the match on the Friday! Yes, definitely expect changes. Loftus playing for DIT in Sigerson on Wednesday next. Not sure about the other guys. I’m out of the country on Sunday. Is it televised? Both games are live on TG4. i am assuming that we can pay in on the day on Sunday?? Dissapointing not to see Sharoize Akram , Brian Reape and Ciaran Treacy and Tom P. Good to see Conor Loftus in ,hopefully he sticks with Nally at midfield where hes plays with his club. Rochfords brigade don’t now how your surprised Barry Moran is not starting after the amount of ball he gave away last week. Cant see Ger Caff been left on Comer but with Rochy expect changes good or bad. Pat,.. Money speak’s all language’s on a February Sunday in Salthill…. I sure you will be able get in… Don’t think that you will have to deal with any Ticket touts either!…. I don’t see the logic in announcing a team that will not line out as announced. It is unfair to the players and to us the supporters, probably the best supporters in the country. I don’t like criticizing the management but what is the point in this carry on. Anyway the best of luck on Sunday, we need to put down a marker for later on in the year. Best wishes to Evan Regan and a speedy recovery, he was just showing a return to good form. I hope Treacy and Reape get some game time on Sun.,we only scored one point from play the last day, and those lads are serious talent. Also some dreadfully sad news that former Irish international Liam Miller lost his battle with cancer this evening. Don’t think Andy, Boyler or Kevin McLoughlin need to be playing this time of year but those 3 are so football mad it’s pro awful hard to keep them out. Would have said same about Aido other years but sense he needs game time this spring to sharpen up. Nally in midfield could work out well as he’s a very good distributer. Radar a bit off the last day but expect that to improve. One of our best kick passers. Yeah God be good to Liam Miller too young to die at 36 puts sport into perspective at the end of the day we are only passing through. Always thought he and Stephen Mc Phail before him never realized their enermous potential the amount of people dying with Cancer is unreal. The moral of the story is enjoy every day and every football match. The league is important for match fitness. You can’t give lads their first start of the year against Galway in June. Andy always said playing games in important to get habits right. Saying that there’s only 7 of that team tht started the all Ireland final. Loftus and Gallagher were def in action during the week, not sure about diarmuid? I think there will be at least 3 changes. Watching Galway, Cooke very physical expect Aido to go to MF. Caff looked injured so Crowe looks like next cab of rank. If Aido goes MF, Cillian could go to 11 or move Jason Doc out. Agree with Redcol. Crowe in for caff, Andy in for loftus. McDonagh and Reape would be playing by now if manager thought they could make an impact. A lot of name dropping of Reape on here these past few weeks. Is he even still with the panel? Best wishes to team and management on Sunday. Rochford must see something in Douglas , maybe its his place ball ability, apart from that I haven’t seen him offer much in performance. this type of weather suits backs –lets see what Douglas can do on a dry pitch. I don’t think Caff will start so it’s vital that we put someone onto Comer that has a bit of pace and can handle him physically. Might be the day for MGer McDonagh, a serious test of his credentials. We need to get someone to mark Walsh as well, he’s playing very well at the moment, probably Durcan is the man here to match his pace. We also need to do well in Midfield and would be worried about Nally and Gibbons doing the business there so changes there also. Whatever happens, win or lose, I don’t want to see Mayo bullied again this season. They should have learned their lesson from last Sunday and Galway and Comer in particular bullied us in Salthill last year. Galway will try the same stunt this time so I hope we’re ready to fight fire with fire. Let’s give as good as we get and if we’re edged out by a couple of points, so be it but please no triumphalism from Comer and Co.
Today is the 1st day that I’ve had the feeling that the football season has started. Maybe it’s because it’s Galway. Not sure why but today I’m way more excited than I was for our 2 previous games. Just wondering which way people will travel to Galway tomorrow. Are people taking the old N17 or the new route ? 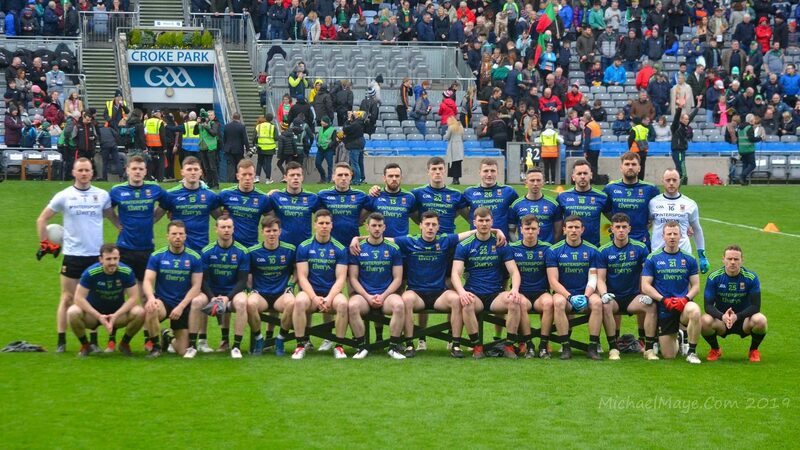 Good luck to all the players and its always good to keep in mind that regardless of individual performances, every lad out on the pitch is giving 110% for us and the county. It’s as easy to say it didn’t work out well for him than it is to slate somebody. Best of luck Mayo. Bring home the.bacon. Guys Durcan/O’Connor and Coen all played for Mayo V Sligo(FBD), Monaghan and Kerry while playing Sigerson so why keep saying Sigerson will rule players from game time v Galway. Could we just not name match day 26, would allow management make late changes. Why necessity to not name subs?… I do agree it takes away from team announcements they now mean nothing. And what’s the big secret with who’s on/off panel, surely as supporters we are entitled to know. Also feel players who are trying to make impressions not given enough consecutive game time. Very hard to impress in cameo roles. As for Galway…we need to nip their good form in the bud! Alan Dillion was on Newstalk a couple of Saturdays ago and he said Mayo only target survival in the League. The fact that we don’t have a full contingent for training doesn’t help at the start of the year but our sights are set on the end of the year. Dillon of course is right. Depending on results elsewhere over the weekend 6pts should be enough to keep our Div 1 status. Where will we get our other 4pts from? Kildare away and Tyrone at home. I don’t see us getting anything from Sundays match and our meeting with the Dubs will be similar to last year in that we won’t show our hand. Donegal away will be a tough ask based on how well their forwards are currently playing. So its not panic stations if we loose on Sunday but it would be nice to see Comer being well marked and frustrated all afternoon. Just a side note on the Regan assault. Connolly got a huge ban for laying his hands on an official and Shanahan gets defended by his manager and receives a yellow card for breaking Evans jaw. The mind boggles. That smart bollox Eamon Fitz has hit out in the papers saying Lee Keegan and Mayo went way over the top about the challenge on Evan Regan. Well I can’t wait to meet that shower again later this year and give them a bit of there own medicine.In the words of Kevin Keegan “I’ll tell you, honestly, I will love it if we beat them.Love it. I said at the start of the season that the monaghan game was crucial because i never expected anything out of the kerry game and based on the face the ball predictions it seems a good few others were of the same view. We have barely survived the league these past few years so why should this year be any different. I’d hope we will beat Kildare when it comes around to it but getting anything out of the northern teams or Dublin will be difficult. So this Galway game is very important.. they will have targeted this game from a long way out but we’ve had time to see what their about too. I expect Rochford will have something lined up for Comer. Defensively we need to do a number on Galway and hopefully our forwards can do enough to get us across the line. Win and we can breath a little.. loose and we’re up to our knecks in it.. but then what’s new there. Agree with PJ. A good start is vital. If Galway go few points up they will do what Kerry did last week – sit back and hit us on the break. Teams know that with our running game we don’t have the ability to break down a blanket defence and with backs carrying the ball up the field- We leave huge gaps and are easily picked off on the counter attack. Unfortunately we have a tendency to start very slow in games – this has to change. Pat75, of course Eamon Fitz is going to stand up for his player, I dont see anything wrong with it. Id expect Stephen Rochford to stand up for any of his players had they committed something like that. Its what good managers do, I wouldnt get too worked up about it. I see on Twitter that Andy’s dad passed away today. Rip. Ahh sad re Andy dad rip. RIP – condolences to the Moran family. Why am I on moderation wj ? Sad to hear the news of the death of Andy’s dad. Pity he did not see his sporting son step up the Hogan.. Hopefully, Andy will get his just reward.. Looking forward to tomorrow’s match, and the banter that goes with it. No idea, Dig Deep! Sometimes WordPress has a mind of its own in that department. Just like to pass on my condolences to Andy and the Moran family on their loss. May be rest in peace. Pitch inspection at 1 tomorrow apparently. One game should have been moved ……. RIP to Andy Moran’s dad. Condolences to the family. Sorry to hear of the death of Andy’s Dad. May he Rest In peace. Extremely wet in Galway tonight, gale force winds and more rain promised for tomorrow. Game will be a lottery. Condolences to Andy and the Moran family. RIP. Is there a pitch inspection or not, link please. Sad time for Andy and his family… Sending good wishes and a prayer to them all. I hear Dean Rock and Michael Murphy missed easy frees tonight. I assume they will be removed from their free taking duties immediately!! Yes mayomark, both missed frees , only after coming on ! Very impressed with Donegal tonight in the second half against the greatest team of all time. Paddy Mc Brearty was outstanding as Donegal decided to run at the Dubs and they looked under a bit of pressure. Mr. Small should have walked for a tackle on Mc Hugh which was very similar to the Shanahan “tackle” on Even Regan last week but with Dublin Joe in charge, there was no danger of that. Sorry to hear about Andy’s dad. RIP. Not an easy time for the Moran family. That’s correct MayoMark. They will he removed from their free taking duties immediately. They will also be flogged in public before their next league match, required to hand back all silverware and shipped.to Van Demons land for 12 years of hard labour. Don’t those pair know that it’s not permissable to miss frees at.senior level regardless of distance, angles and weather and wind conditions. Im not sure why Cian Hanley is returning from Oz. I hope it’s for positive reasons and that he has decent prospects at home. I’m excited at the prospect of him joining the Mayo squad. He would be a valuable addition and if he’s interested the sooner he joins the squad the better. He will have no problem readjusting to Gaelic. To repeat Sean Burkes question, is the pitch been inspected tomorrow morning? My deepest Sympathy’s to the Moran family. Dublin Joe has no credibility as a referee. He kept the dubs in it at a crucial point in the game. Donegal through on goal with a man over and Joe blows for fouling MDMAs hair. It’s shamefully obvious at this stage. Mayo Mark, I was in Croker for the Dubs v Donegal this evening, had to bring a few teenagers. Donegal missed two 20 yard frees, one in each half, they played great stuff in the 2nd half and got some good scores when they moved the ball quickly, ie, when they attacked at speed and moved the ball fast, they caught the Dubs out of position with this tactic. Johnny Cooper played as an out and out sweeper and protected the fullback line, the key to beating them is move the ball fast and take scores from the 40 / 50 yards out. Donegal did most of the scoring into the Canal end ( in the 2nd half ). Poor crowd only 20,000. It was my first time there since the All Ireland, always good to see the photograph of the confident Lee Keegan as you walk up the steps into the Cusack stand. Sorry to hear Andy’s bad news, may his Dad rest in peace. A few pitches across the country being inspected at 9am tomorrow. Let’s hope sense prevails and we get a read on it earlier and not 2 mins befor throw in. Only one pitch concerns me and thats the shithole that is salthil, where on the internet does it say there will be an inspection at pearse stadium? Just watched the Kerry match again midfield not at the races, 2 of the starting forwards not good enough for a place on the panel of thirty . Time for the young guns to be unleashed and Billy Joe to get to specksavers he said the punch on Evan was to the chest. Any sign of Galway team announcement? And to finish, sincere sympathy to the Moran Family! I’m sorry for late comment but just finished work . My concern is for the Moran family . The Gaa is about club and family and being there for each other in tough times . And to make your traffic nightmares even worse the new Bishop of Galway is getting ordained in Galway cathedral on Sunday at 3pm so the traffic should be even worse when leaving Salthill after the match. I would be wagering that the game will go ahead as planned at 2 today. It’s not freezing here in Galway and is cloudy so there will be no frozen pitch. Some sleet showers but salthill pitch will have that well soaked up. Safe journey to anyone travelling later today. Aragh will ya give over ” how are we supposed to know” dont bloody say it then. Lots of snow in Tuam this morning, wonder is there snow in Pearse/Galway ? The Gaa will do anything they’ll need to get it played..
Light dusting of snow here in salthill. Golf course closed (for what its worth! )… not sure this game will go ahead? Cant see it happening, There wont be a thaw until later on in the day , I’m sure people will want to know earlier, but the Gaa will be looking at when to replay it, the FBD final will probably get pushed out next weekend to accommodate it. You’d think there will be a decision made soon for people such as myself who are bussing it later on. Selfish I know, but I don’t want to hear in Claregalway it’s off. Word in.. Pitch inspection was at 8 30am. Both games go ahead..
1°C in Salthill. No sign of any thawing of the light snow cover at the moment. Hopefully we see temperature rise a little before midday. I wonder what are main roads like this morning in Mayo and Galway? there is some snow here in Sligo town which indicates that roads further inland may not be great, and there is still a forecast of snow. Any updates would be appreciated. Here In Sligo also. Haven’t made my mind up yet.. roads to tubbercurry not hectic on a normal frosty day never mind the snow. Here’s the confirmation from Galway GAA that both matches are going ahead today: https://twitter.com/Galway_GAA/status/962609801502056448. Thanks Willie Joe. Am on the train, so at the mercy of forces beyond my control. Distinct change in weather noticeable at Woodlawn. Distinct change as is clearing or worsening Catcol? Well Galway now very cold but clear.